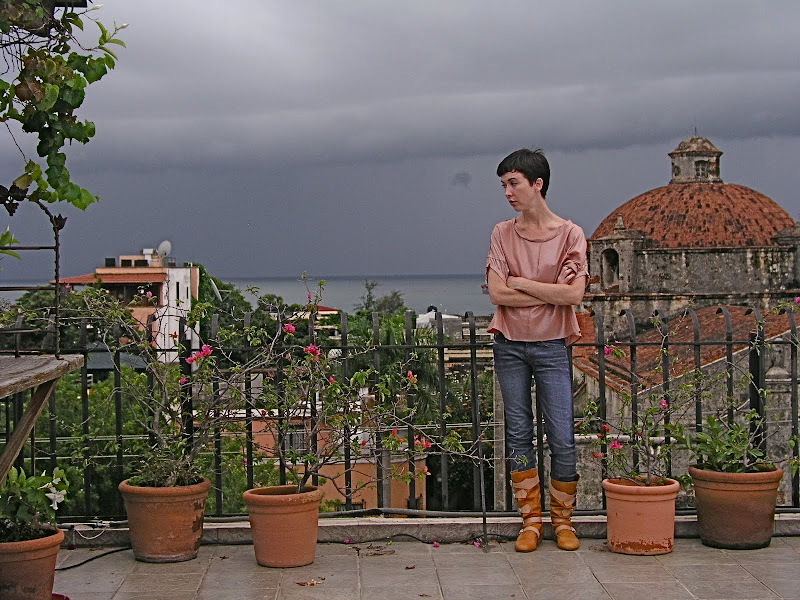 Photo of Cristin on her roof in Santo Domingo from her personal collection. Cristin grew up in the woods of New Hampshire, but has been living the ex-pat life in the Dominican Republic for several years. She is somehow able to balance these two contrasting worlds seamlessly, taking inspiration from both and making it work. Just recently she started the PhD program for Sociology at The New School. So, if you see a brunette with a pixie cut in Brooklyn, DJ-ing with her three Chihuahuas. That would be her! If not in Santo Domingo and Brooklyn I would live in...Amsterdam. It's a visually stunning and charming little city. And, in the worlds of art and music, there are truly amazing and innovative things going there. The Dutch are so quiet and cool. It's my home away from home. My dream holiday would be to...attend the Hong Kong International Art Fair, followed by a week of decompression in a cave hotel, in Cappadocia, Turkey. I would need to relax in the natural world after that art madness. My current obsessions are...eating ceviche made with passion fruit and jalapeno peppers in Santo Domingo's Colonial Zone; listening to everything from Erik Satie to Detroit techno and DJ-ing (with turntables, of course) in my house (it's the best party around); wearing men's button downs, belted (or not) as dresses; and shopping at genius cult couturier, Ziad Ghanem. I think he's one of the few true artists in the world of fashion. He just sent me the most amazing dress and waistcoat. He's such a love. I mean, who says you can't wear couture with flip-flops? I channel my childhood self when I ...am mucking about in the woods behind my parents' house in Freedom, NH. I named it "The Enchanted Forest" when I was six. It holds so many secrets. The fictional character I most relate to is...Jo March from Louisa May Alcott's, Little Women. My father is a massive Bronson Alcott devotee, and he was the stay at home "mom" in our house. If I had to be outdoors all day I would...be jumping horses on a cross country course, or exploring rocky tide pools with my three Chihuahuas. My favorite quality in a man is...passion, and a love of adventure and change. My favorite quality in a woman is...biting sarcasm, dry wit and a certain joie de vivre. I'm terrified of...apathy, and people who don't stand up for their beliefs. 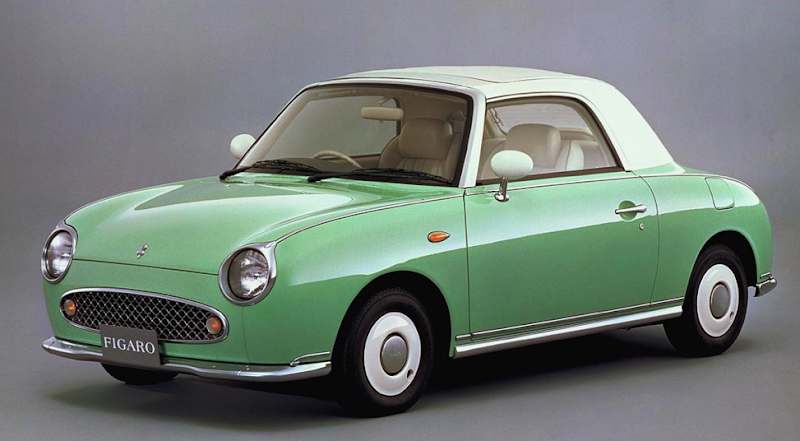 My dream car is a...1991 Nissan Figaro. They only made 20,000 and I managed to end up with one. My cocktail of choice is a...very dry Belvedere martini, up, with olives. My celebrity crush is...Matthew Barney. My friends and I like to...meet up in distant lands, have marathon dinners, and rave. If I could go back in time for one decade...Oh that's a very difficult question, as I tend to glean from many different time periods. I adore late 19th and early 20th century France. The artists, the writers, the absinthe—need I say more? As I teenager I was totally into...studying, and traveling and hanging out with my parents and their friends. I received a lot of criticism for it at the time (so NOT cool), but I'm pretty sure I was having the most fun. I'm an only child, and my parents are pretty adventurous and fabulous. I tend to splurge on...travel, random sculptural objects and music making toys. A certain knack for keeping myself on my toes...is what makes me have Tomboy Style. Loving these profile/Q&A sessions. Super good. That car!!! OMG!!! I've never seen it before. A Super cool girl must drive it. I thought I was the only person who enjoyed hanging out with my parents and their friends! Its nice to know I am not the only one hehe. Also I love your blog I just graduated from college and seeing all these fabulous women some how makes me excited for the future! Cave hotel? Gotta chech this out! Thanks for the great Q&A Lizzie! Wow, what style. That car and flip flops. I totally get it. Good one L.
Another friendly reminder: This blog is not a place to claw at people, rather a positive forum to swap inspiration and ideas and hopefully elevate women. Constructive criticism is welcome, but anything offensive that serves no purpose will be removed. uh oh, was someone rude? how is that possible? love this post! had to look up what apathy meant. I really appreciate that idea, that we must not be apathetic, we must live out loud, it's what I'm trying to do these days. I read this post yesterday and thought the car looked pretty cool. Then tonight I saw one with my husband (who is a bit of a car buff, but hadn't heard of this) - what an odd coincidence! And the funny thing is I live in the middle of the prairies in Canada... not where you would expect to see such a rare vehicle! Wow, that's so unlikely! Incredible! 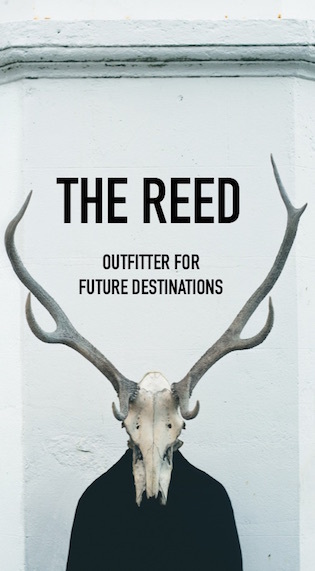 Your blog is fantastic, great interviews and i love the UNIFORM posts. Super! Hot car. Cool tomboy. Nice!